Only 18 when she won her first world title, Tirunesh made it clear early on that she was destined for greatness. The cousin of two-time Olympic gold medalist Derartu Tulu (a pioneer for women in Africa), Tirunesh wasted no time in writing her name into the short list of all-time greats in the world of track and field and is now considered perhaps the greatest female distance runner in history. At the Athens Olympics, Tirunesh finished third in the 5000m to earn her first Olympic medal. A year later, Tirunesh broke the world record for 5000m indoors and won gold in both the long and short courses at the World Cross Country Championships. She duplicated this double that summer when she became the first woman in history to win both the 5000m and 10000m at the World Championships. In 2007, she won another world title at 10000m. The following year, she smashed the world record for 5000m and won double gold at the Beijing Olympics at 5000m and 10000m. After seasons of injuries, Tirunesh won gold again at the London Olympics, becoming the first woman to ever successfully defend her Olympic 10000m title. A year later, she added a ninth world title to her resume with a victory at 10000m at the 2013 IAAF World Championships in Moscow. 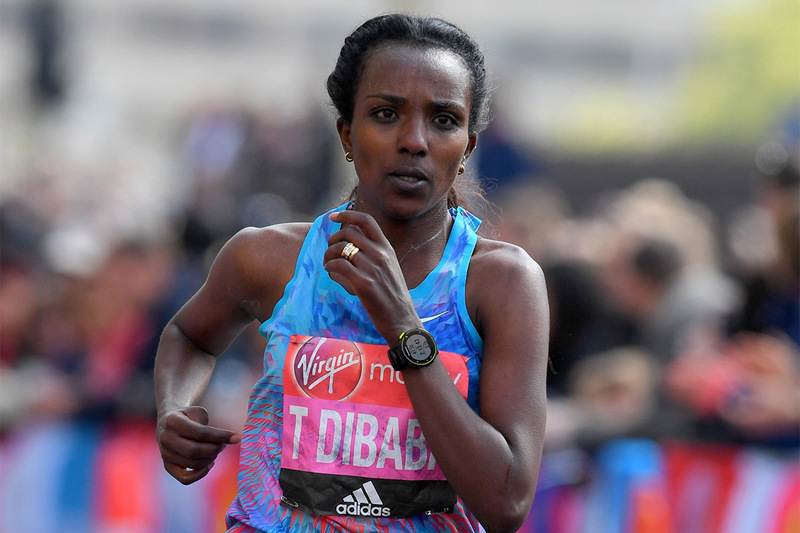 In April 2014, Tirunesh made her professional marathon debut at the Virgin Money London Marathon, where she finished third in 2:20:35, just 13 seconds off the winning time. Having stepped away from track in 2015 due to the birth of her first child, Tirunesh came back to form in the summer of 2016, winning the bronze medal at the Rio Olympics over 10000m. The following year, she won the silver medal in the 10000m at the IAAF World Championships in London, and then won the Chicago Marathon. In 2018, Tirunesh placed third in the Berlin Marathon in a time of 2:18:55.